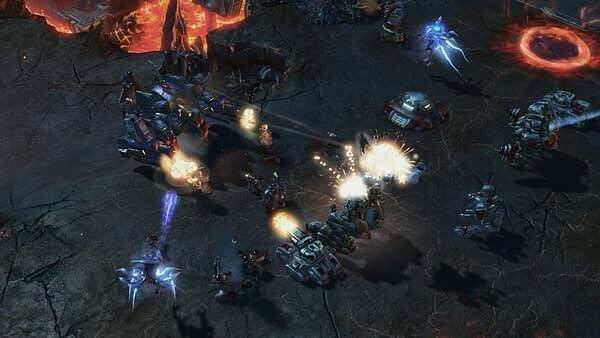 Blizzard is also adding a brand-new Co-op commander to Star Craft II just in time for Gamescom. Tychus Findlay is a notorious outlaw and iconic hero, and he should bring some interesting changes to your Star Craft gameplay. Tychus commands a crew of outlaws each with distinct personalities and unique skillsets that you can exploit to meet the needs of any skirmish you happen to find yourself in. As a Co-op Commander, Tychus’s strength lies in the adaptability of his Outlaws, which allows you to build a custom squad for each match. What makes Tychus so unique is that he is the first Co-op Commander that lets players control a small squad of elite units. He’s also got powerful call downs with his massive twin cannon war machine, the Odin. Alongside the announcement, Blizzard also released some information on Tychus’s Outlaws, and how those units will function for your RTS missions. The High Single-Target Damage Dealer – Crooked Sam is a Reaper who excels at dealing heavy damage against individual targets. His Demolition Charge can eradicate the largest foes while his Shade Suit helps him stay in the thick of the fight and go toe-to-toe with the fiercest enemies. The Anti-Air, Crowd Control Specialist – The Warhound James “Sirius” Sykes can deploy turrets to deal and soak up damage. His upgrades increase his potency against air units and can cause his enemies to run in fear, disabling their attacks. The Anti-light Tank – The Firebat Miles “Blaze” Lewis is perfect for dealing with masses of weak ground units. Drenching his foes in oil and igniting them with his twin flamethrowers, Blaze leaves nothing behind but ash and cinder. The Bruisier and Initiator – Rob “Cannonball” Boswell is one tough HERC and can take loads of punishment. Now only can completely restore his health when taking fatal damage, but he can grapple himself straight into a fight, stunning any enemies in the area. The Anti-Armor Tank – Kev “Rattlesnake” West is a Marauder who is adept at supporting friendly units and dealing with armored ground units. He can use Deploy Revitalizer to heal his teammates and boost their attack speed. The Mind Control Specialist – Vega is a Ghost who uses her potent psionic abilities to dominate the mind of her opponents. She can temporarily mind control the most powerful units on the battlefield and cause confusion among the enemy forces. The Area Damage Specialist – A powerful Spectre, Nux is potent at dealing with waves of units due to his explosive Ultrasonic Pulse. Not only does he have the strongest area of effect abilities, but he can also decrease the cooldowns of his fellow Outlaws, making him a powerful member of the Heaven’s Devils. The Dedicated Healer – Lt. Layna Nikara is the toughest Medic around and an Outlaw that you want watching your back. Her restorative abilities are second-to-none. Not only can she heal multiple targets, but she can shield her allies, allowing them to survive the most devastating attacks.